Now you can choose to have the wonderful smile you deserve. Today’s cosmetic dentistry techniques offer a wide range of possibilities from making minor to dramatic changes. Our doctors will help determine the best course of treatment to achieve your most beautiful smile. Starting with healthy teeth and gums, our doctors can perfect your smile through natural-looking porcelain restorations, veneers, teeth whitening, Snap-On Smile and other state-of-the art treatments. 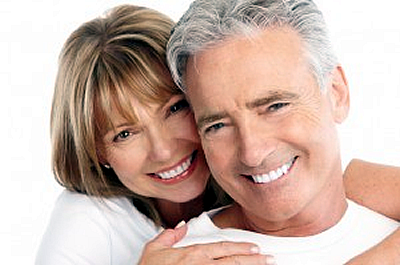 They have been handcrafting smiles for more than 50 combined years utilizing their experience in a wide range of procedures to achieve youthful, more radiant, natural-looking smiles. To see how your smile can be transformed, check out our Smile Gallery for examples of our real patients’ before-and-after smile makeovers. Our doctors spend time with you discussing your short- and long-term dental goals. Together, they will look at photographs, both recent and from the past, to determine what they like about your smile and what could improve. At Adams Dental, we look at more than just teeth — teeth need to balance with your face and within the frame of your lips. The consultation has one main purpose — to design the color, the shape and the smile that works specifically for you. Find out how the Adams Dental team in Madison, NJ, can help you achieve the ultimate in dental health and provide you with a beautiful smile.